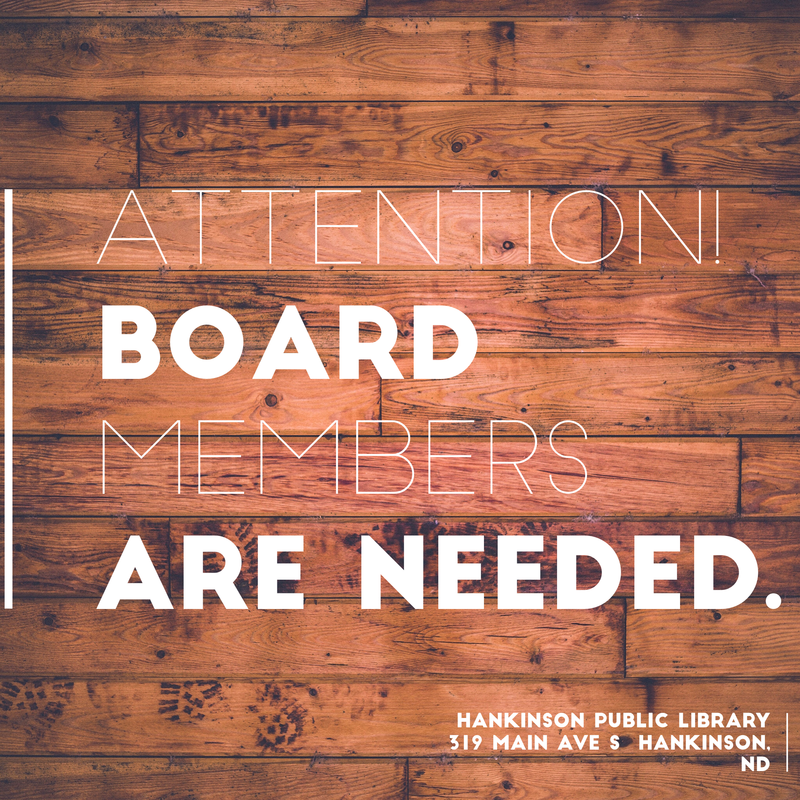 The Hankinson Public Library board is looking to fill two vacancies. Applications can be picked up at the library. Please return to the library by May 31, 2016. By hankinsonlibrary in Uncategorized on May 5, 2016 .